In the Gospels we see how Jesus had compassion for the sick and cured them. The cures reveal his compassion as well as his divinity. In our times God continues to work miracles through the intercession of his saints. On June 6, 2000, Jack Sullivan awoke with intense pain and marked weakness in the legs from a severe spinal stenosis, a narrowing of the spinal canal. He prayed to God through Bl. Newman’s intercession and the symptoms disappeared, allowing him to continue studies for the permanent diaconate. The symptoms, however, reappeared almost a year later and he underwent surgery. Due to his condition there were complications during surgery and he was left with severe pain. Then on August 15, 2001 he was miraculously healed. 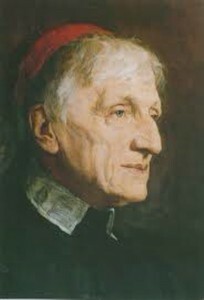 This cure, attributed to the intercession of Cardinal Newman, served as the cure for the process leading to the beatification of Newman in 2010. We have recounted this cure before but now with permission of Deacon Sullivan we post it here. It is an encouragement to pray for God’s favors and cures. We invite you to pray to God through Blessed Newman’s intercession.